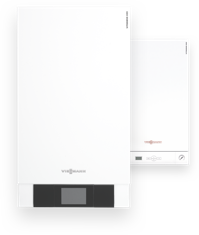 Modern gas boilers are economical, environmentally friendly and extremely reliable. However, like any piece of equipment that is in use all the time, now and again they will need some attention to keep running smoothly and efficiently. One of the most common problems is low pressure in the boiler, but luckily this is usually fairly simple to fix without the expense of a trained engineer. In this article, we look at what to do if boiler pressure is low, including how to identify and solve the problem yourself and when it is a good idea to seek professional help. How do I know if my boiler pressure is too low? Most UK households use a gas combi boiler for heating and hot water, with a pressure gauge that can usually be located on the control panel. It is usually a circular dial and may have green and red zones marked on it. The green zone is the standard operating pressure and is usually between 1 - 1.5 bar. The red zone indicates the maximum safe operating pressure. If your pressure gauge is marked with a green zone and the needle has fallen below it, this is a sign that the gas boiler pressure is too low and action should be taken. If you have radiators that fail to heat up as they should, this may also be a sign that there is an issue with your boiler pressure and can be confirmed by checking the gauge. What are the risks of low boiler pressure? The good news is that low boiler pressure is nothing to panic about and is not likely to cause any damage to your boiler. On the other hand, it can have a real effect on the efficiency and effectiveness of your heating system, making it hard to keep your house warm and costing you more on your energy bills. If you are keen to stay comfortable and save money, then it is definitely a good idea to address the problem. Why is my gas boiler pressure too low? The most common reason for your gas boiler pressure being too low is either a water leak somewhere in the system or reduced system pressure as a result of bleeding a radiator. It is not always easy to find a water leak in your system as there will often be pipework that is not visible. However, it if you are experiencing low boiler pressure then it is worth conducting a visual examination of the pipes and radiators that are accessible. Look for any water on the pipework, as well as other signs of moisture such as damp patches or stains, and sometimes swelling in the skirting board. Copper pipes may also develop a green build up over time if moisture is escaping. Joints in the pipework are a common place to find leaks, as are the points where the pipes are connected to the radiator. Be careful not to mistake condensation for a leak, especially in colder rooms. If you have inspected all visible pipework and have not identified any leaks, you may need to contact a Gas Safe registered engineer to check inside the boiler itself. If you have been trying to improve the performance of your system or deal with radiators that are not heating properly, you may well have recently bled a radiator. This allows air that has collected within a system to escape. Whist this will often fix the problem with the radiator, it may cause a drop in your boiler pressure which requires some further action. If you have not bled any radiators recently and you have been unable to locate any signs of a water leak in your home, it may be necessary to contact a professional. The most effective way to fix a problem with low boiler pressure is to repressurise the system. This can usually be done yourself without the need to call a Gas Safe engineer, but you should always check the user guide first to ensure that your model allows this. Identify your filling-loop and pressure gauge. The filling loop handles should be at a 90° angle to the flow of the pipe. Make sure that you can see the pressure gauge whilst accessing the filling loop. The correct pressure level will often be shown in green on the gauge for modern systems, however you should check the pressure for your specific model in the manual prior to beginning the procedure. It may be a good idea to get someone to help you. Turn both filling loop handles at a right angle, so that they match the direction of the pipe. You should now be able to hear water flowing. Once the correct pressure is reached, make sure the handles are fully closed by returning them to the 90° position. If you have followed these steps and your boiler maintains the correct pressure, then you can relax in the knowledge that everything is back in order. Should the pressure drops again then this is a sign that something else may be wrong and it is advisable to contact a service engineer.